We're back today to congratulate the winners of the Don't Throw That Away challenge that was all about re-purposing your packaging. We also had an awesome sponsor last week and here is the winner of the random drawing for the $10 shopping spree at The Doodle Pantry. Random CG winner is #9 Heidi Baks! Congratulations Heidi! 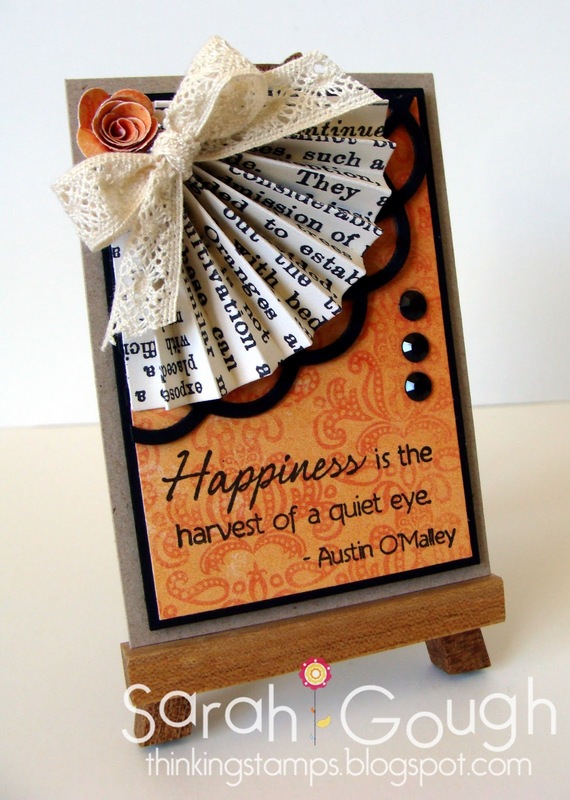 Please contact Laurie from Doodle Pantry in the next 5 days at cs@doodlepantry.com mentioning you are the winner of the OCC GC. 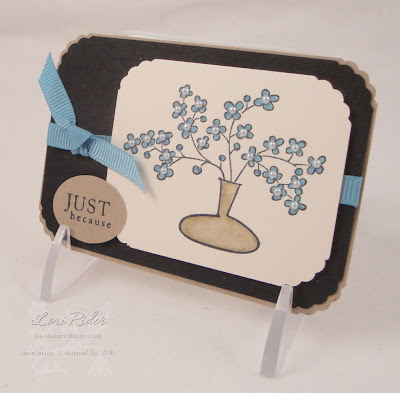 We'd like to sincerely thank Laurie for sponsoring our challenge with her generous gift, an amazing prize and fabulous images we, the design team, used for our creations. 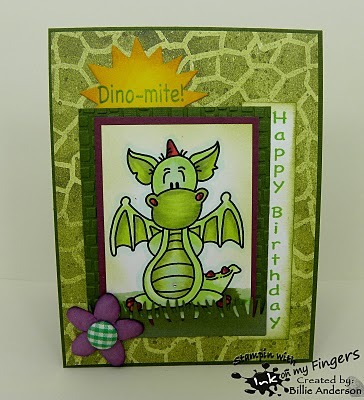 Be sure to visit Doodle Pantry.com and browse through the awesome selection of gorgeous digital stamps! 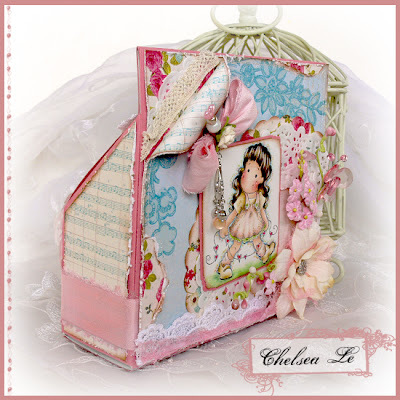 This week's Top Talent winner is Chelsea Le of Crafting Life's Pieces with her fabulous alteration of a Martha Stewart Boarder Punch packaging. 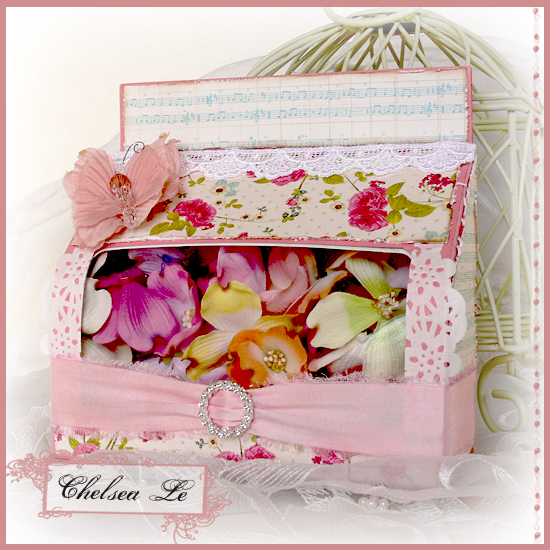 Chelsea used her lovely shabby chic style to create a beautiful container to store her flowers. The design team loved her project and felt that it really exemplified what the package recycling challenge was all about. It's a very clever use of something that would normally be tossed out and who wouldn't love to have this beauty decorating a shelf in their craft area and doubling as an organizer! Congratulations Chelsea. We'll be getting in touch with you very soon about being a guest designer for us for an upcoming challenge. 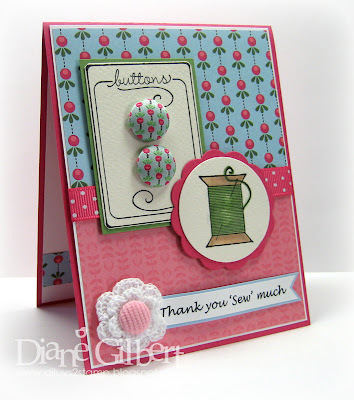 Our Talented Trio Awards this week go to the next three crafty recyclers. We thought altering a Crisco container into a candy package was very ingenious - a simple yet such a sweet little gift. It's a smart idea for something everyone has in their home. Another fun use for a container. We loved the window she cut in the box and thought she did a gorgeous job embellishing it. 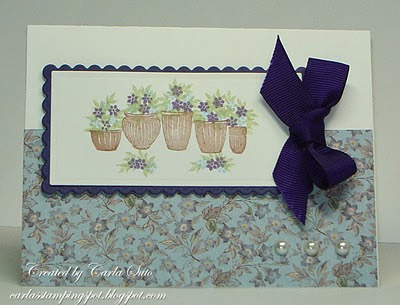 Beautiful job with all the extra details of the pearls, ribbons and flowers. 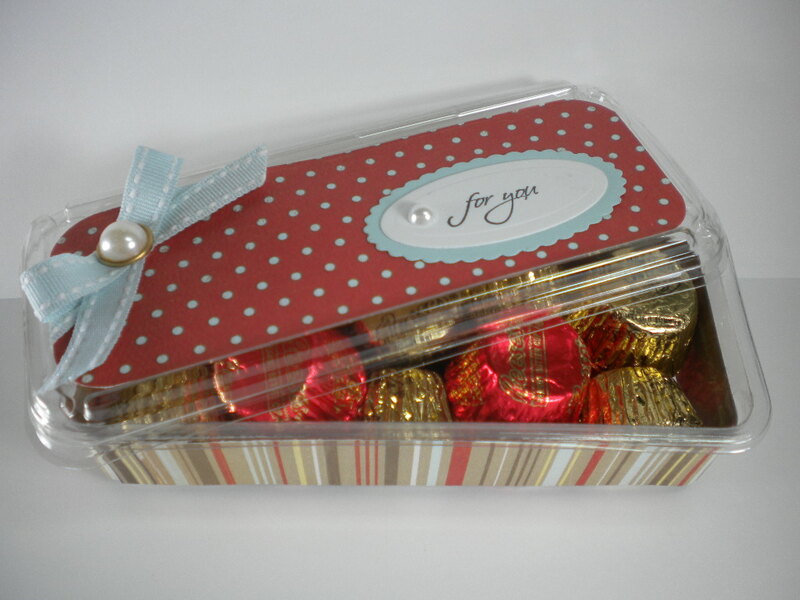 The mini rosette is the perfect finishing touch! What a beautiful tag Joni saved from the trash bin! 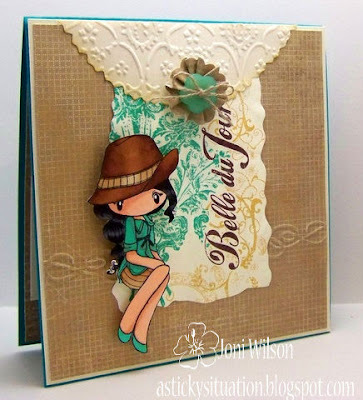 We loved that she let the tag take center stage while almost using her stamped image as an embellishment. Beautiful colors and wonderful open space. Congratulations to all of our winners this week. Ladies, please pick up your award badges from our side bar. We hope you will proudly display them on your blog. Don't forget about our current ATC challenge we have running. 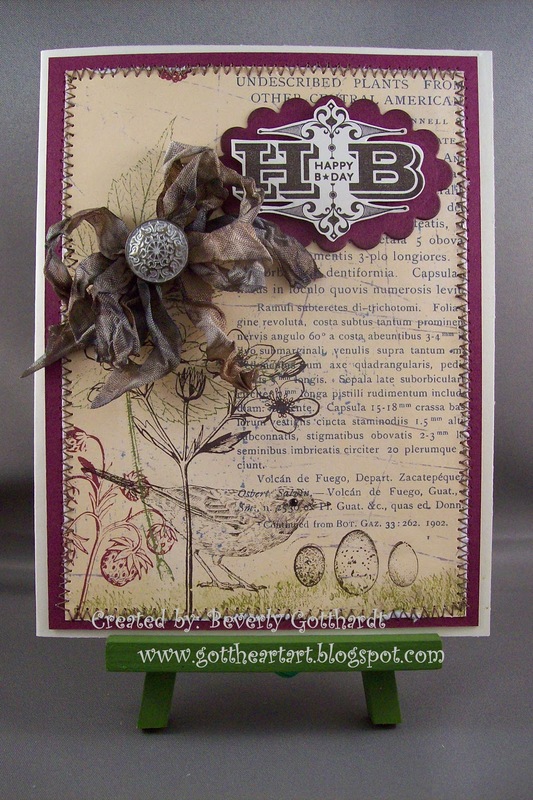 Just a reminder that it's to make an ATC but that there are also color requirements that go along with this challenge. You have until 11:59 on Friday, April 1st to play along with us this week. They always measure 2.5 x 3.5". They were started by imitating baseball, other sports cards and playing cards, thus the size. They are often traded but are not supposed to be sold. 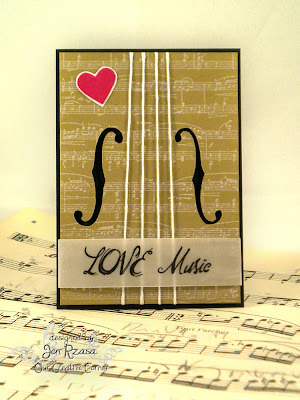 An ATC created for sale is usually called an ACEO, 'Art Cards, Editions and Originals'. If you are interested in trading, email me by clicking on my photo on my sidebar and I'll send you the info. Traditionally, they were stored in pockets or divided page protectors with little extra room for thickness or bits extending off the edges. Now there are lots of ways to store and display them so feel free to allow bits to hang off the edges or use thick embellishements. 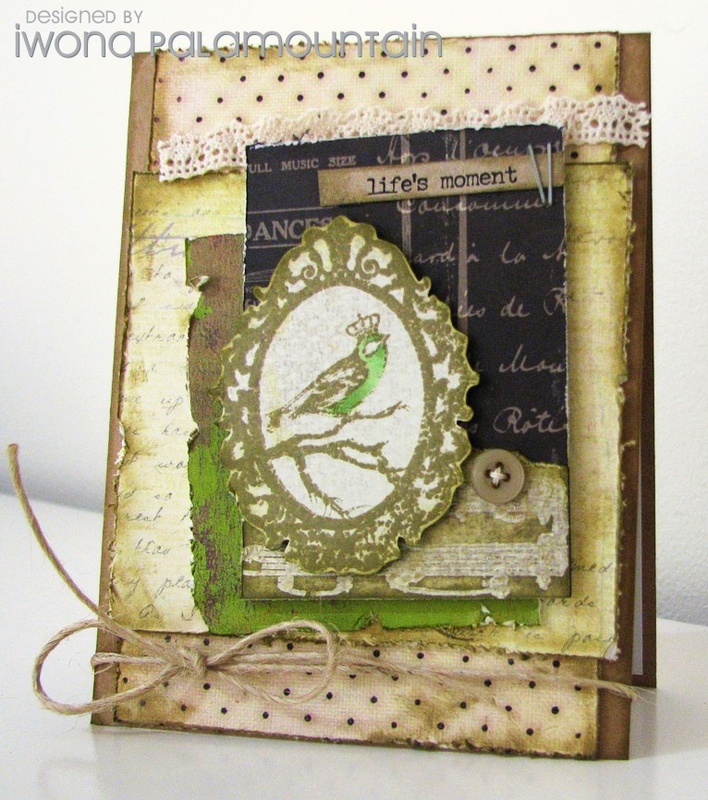 Feel free to incorporate your ATC into a card, scrapbook page or larger project. Please use the challenge colours for the entire project. Several of our designers have done this. A set of three ATCs whether connected or not is called a triptych. Feel free to make one if 2.5" x 3.5" seems too small. You can also join 2 if you wish. I can't wait to see what you create! I hope you have fun! 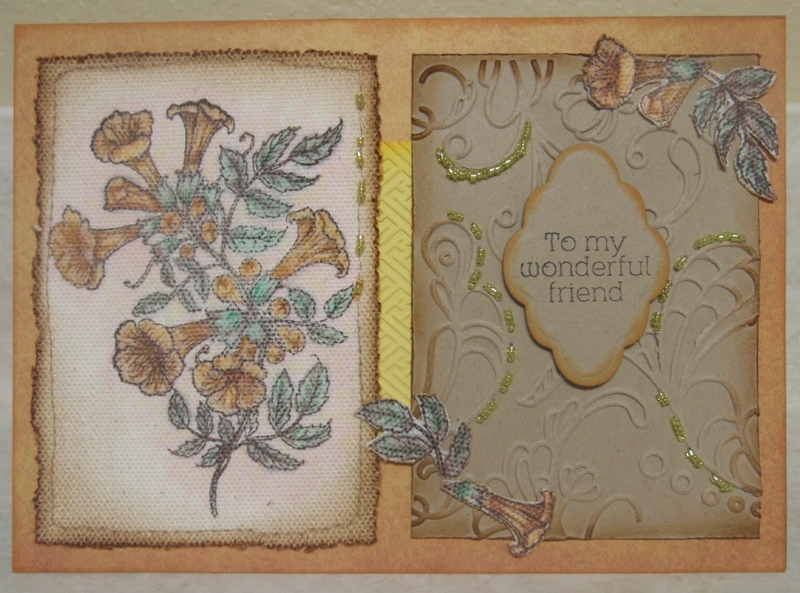 This is one of 4 I made for this challenge, visit my blog to see the other 3. Diane Gilbert - My Little Stampin' Spot! WOW! Girls, thanks for embracing this challenge and creating such AMAZING samples! If you upload to an online gallery, please use the keyword OCCC. You must link to a project created after the start date of the challenge. Please include a link to our blog in your post. Thanks for reading and I hope you can participate. The design team had so much fun with the Fabulous Fabric challenge. We loved visiting all your blogs and seeing your beautiful work. There were so many wonderful entries and it was hard to narrow it down to just the top four. Here are the team's favorites for the Fabulous Fabric challenge. The Top Talent Award goes to Sarah from Where Art Happens. 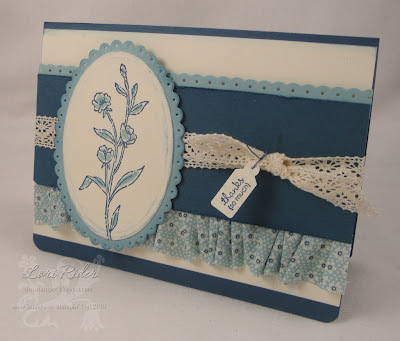 Take a look at how she used fabric in the design of her card. 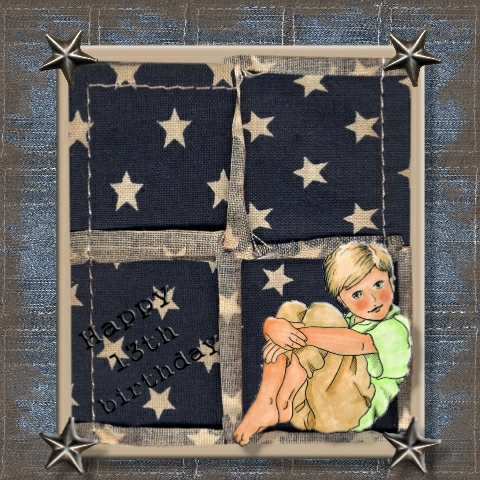 The team thought using the starred fabric to create a window was wonderfully creative! It's a terrific design element that worked perfectly. We loved the quaint, homespun feel to it and what beautiful color work on that cute little boy image! Congratulations Sarah! We hope you will proudly display the Top Talent winner's badge that you can pick up from our sidebar. We'll be contacting you about being a guest designer for us in the very near future. 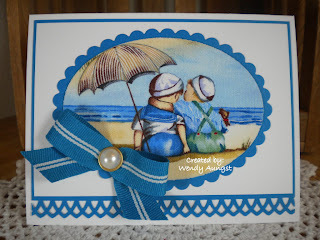 We loved the retro fabric piece Wendy used as her focal image and how the rest of the card was creatively designed around it. 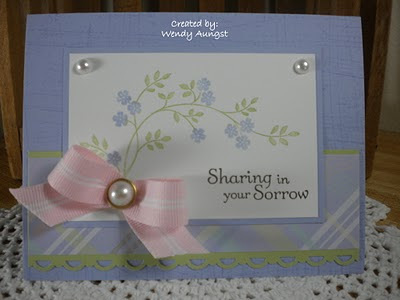 Her piece was clean and simple with great colors and her lovely bow/pearl was a great finishing touch. Loli's card is exquisite in its simplicity. The different fabric pieces are so soft and pretty and the ribbon roses are simply gorgeous. This amazing piece of wall art features 16 individual squares. 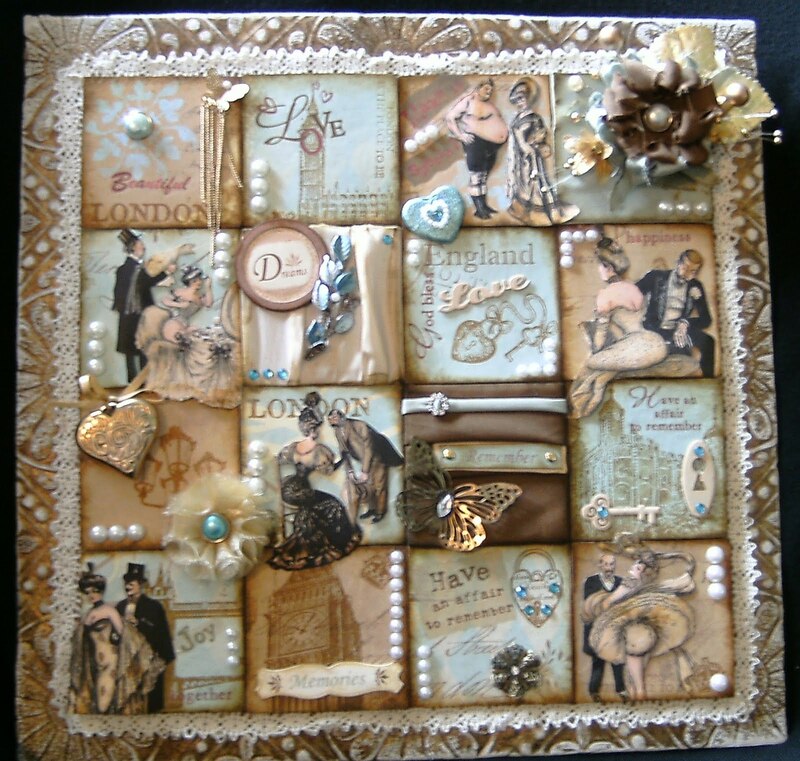 Each square is its own creation but the London theme is carried throughout. It's just loaded with beautiful bobs and bits, many of them created from fabric. 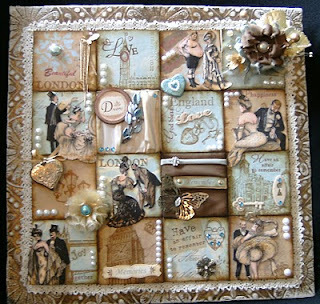 Every detail serves to create a shabby adventure in eye candy! Congratulations to our Talented Trio Award winners. 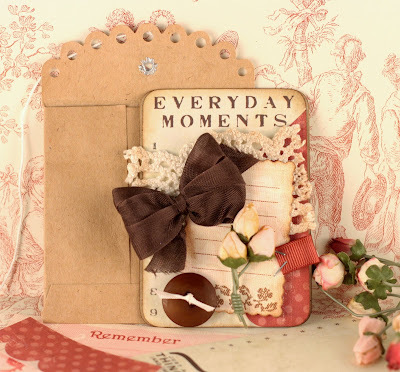 We hope you will pick up your award badge from our sidebar and display it proudly on your blog. 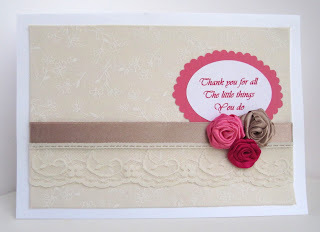 Thanks so much to everyone to took the plunge into Fabulous Fabric. We hope you will play in our Don't Throw That Away recycle/repurpose challenge this week. You have until 11:59 Eastern Time on Friday, March 25th to enter the current challenge. 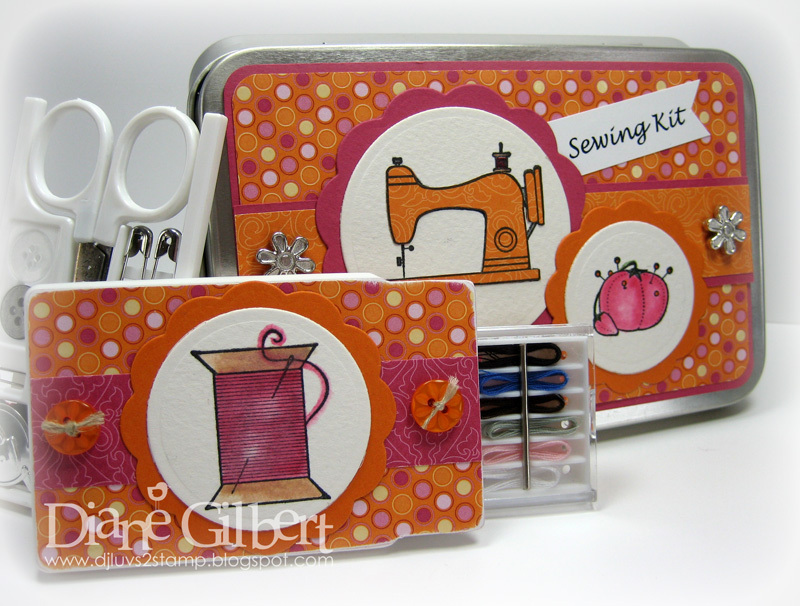 Welcome back to another challenge at Our Creative Corner! 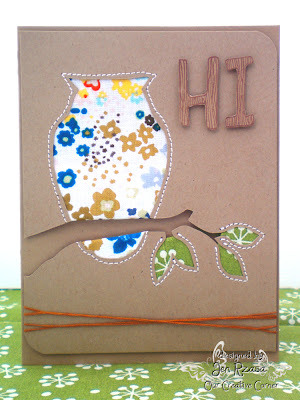 Hi, I'm Rebecca from Eclectic Endeavors and I'll be your host for the next two weeks. Last week's Fabulous Fabric challenge was so much fun. 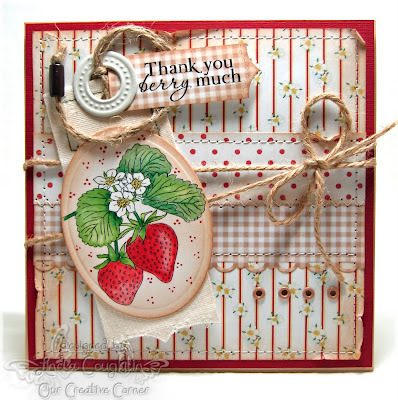 Thanks to Kristin for hosting it and we thank everyone who shared their beautiful projects with us. Check back on Wednesday to see who received our awards! We have something new this week! We have a SPONSOR! 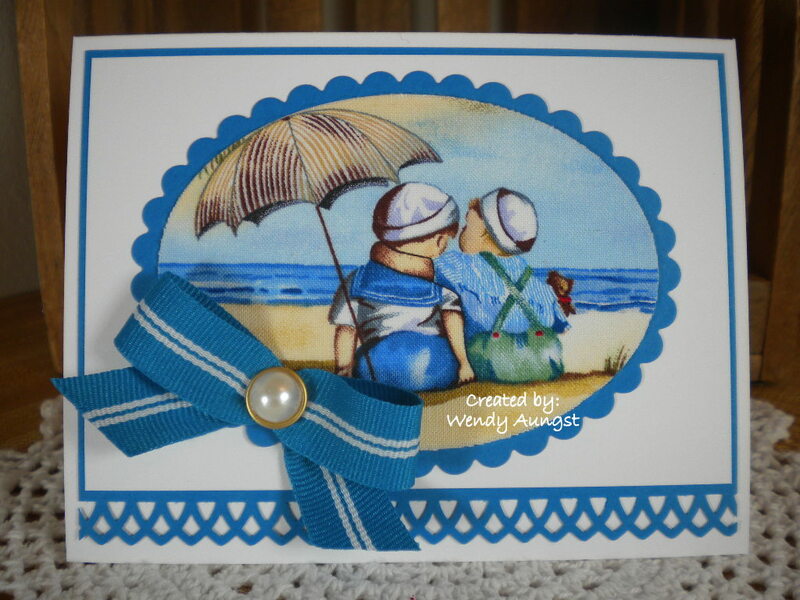 Laurie of Doodle Pantry has generously offered a $10 Gift Certificate to the winner of this week's challenge! 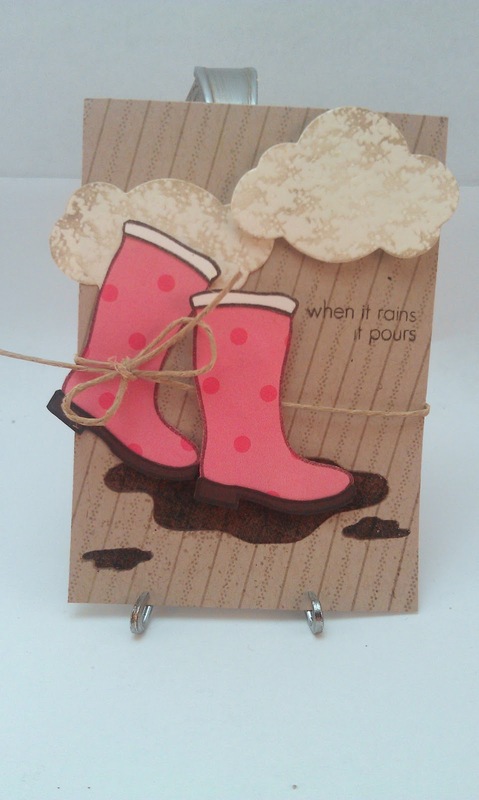 Be sure to check out her store where you will find all kinds of fun digi images and sentiments. 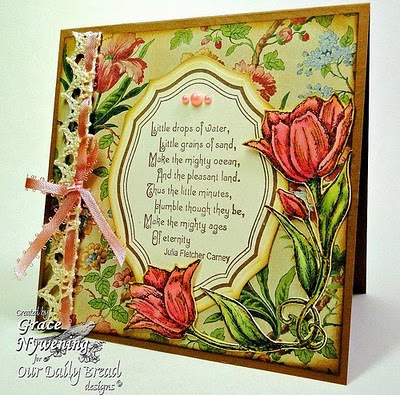 She has lots of images ranging in style from Realistic Landscapes, Baby Animals and Fabulous Flowers to Adorable Cartoon Critters and Bugs along with some Christian images and Scriptures. Most images come with lots of sentiments to make card-making or scrapping easy and she creates both JPG and PNG files so you can layer multiple images with ease. Don't Throw That Away! 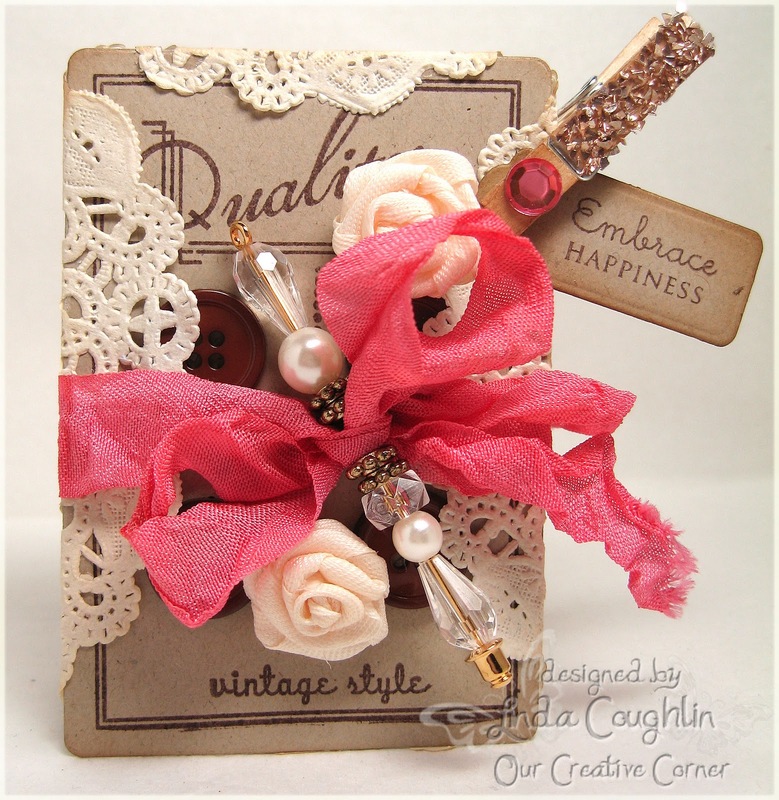 I’m always saving packaging: cans, boxes, paper, cardboard, embellishment bubbles (shaker cards!) and lots of other goodies that would normally be tossed or recycled. I’m even running out of places to store everything! So this week the challenge is to use some sort of packaging you would normally throw away. Not just something you saved that was designed to be reused but something destined for the garbage or blue box otherwise. I used a cardboard tube from stickers I saved from my LSS. I added a new bottom to turn it into a pen can. I've also used Juicy Strawberry by Doodle Pantry. The strawberries you see in the other girl's projects are also by Doodle Pantry. 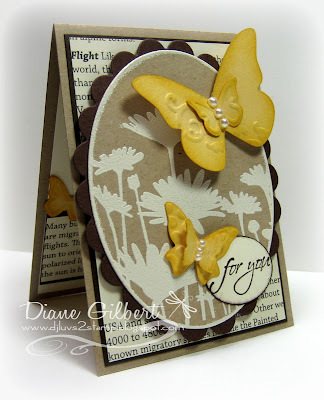 Vicki used some torn apart cardboard from a SU box. Jen hand-cut each layer of the flower out of plastic packaging (from a border punch), and sewed them together with embroidery floss and a button. Jen has also used a Doodle Pantry digi sentiment. Linda recycled a canvas tag/twine from an organic cotton tee shirt and used a Doodle Pantry digi. 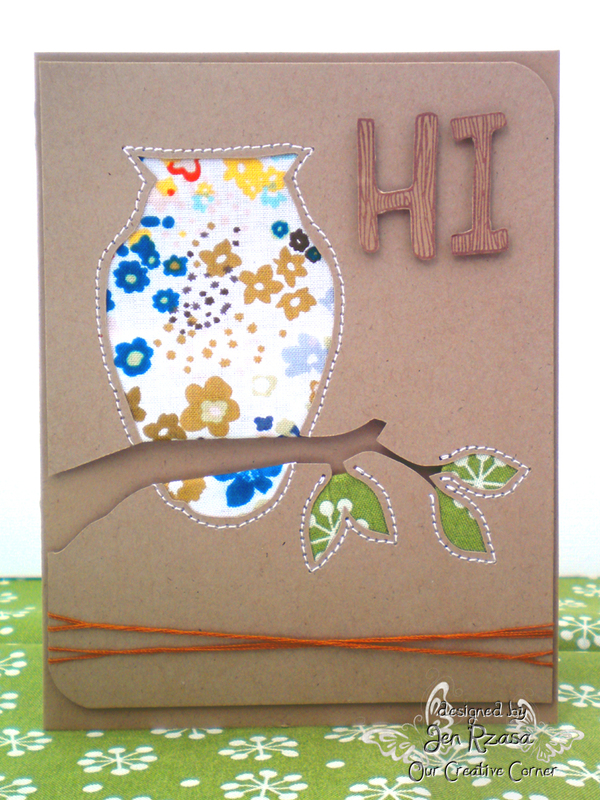 This is made from an instant coffee container and another pretty Doodle Pantry digi. 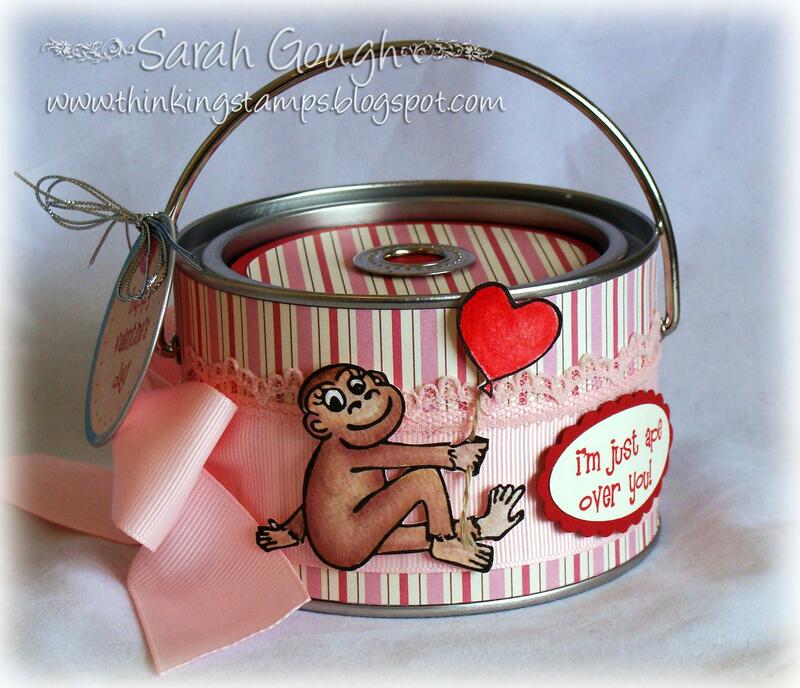 The tin originally held a wrist watch. Now it's your turn! Come on, we know you must have saved something from being discarded. If not, save something over the next day or two and let's see what you can do with it! Can't wait to see some really creative projects this week! We know the 1-2-3-4 Challenge was a tough one. 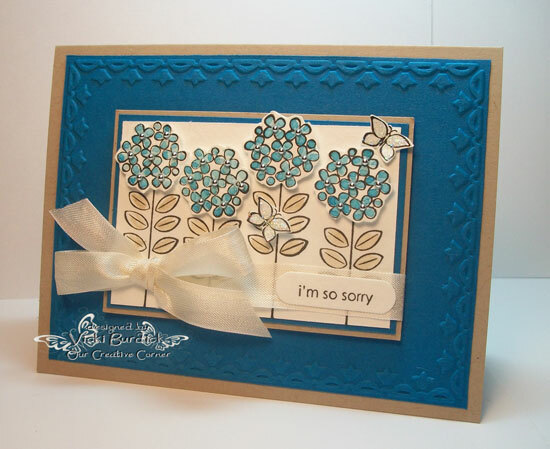 Even the design team had angst over designing their samples for the challenge so we understood your hesitation about playing along. Still, we had 10 brave crafters who took us up on the challenge and we want to thank each and every one of you for playing along with us last week. The design team put their heads together and decided we want to reward everyone who joined in last week with a winner's badge. We picked one overall winner and the other nine are all runners up and will take home the Talented Trio badge. We were amazed at the beauty Grace was able to create with only two layers! 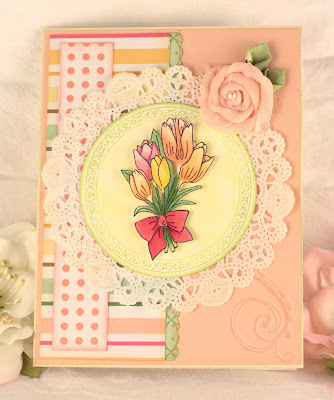 She did a terrific job on recreating the colors of her designer paper in coloring the tulips. 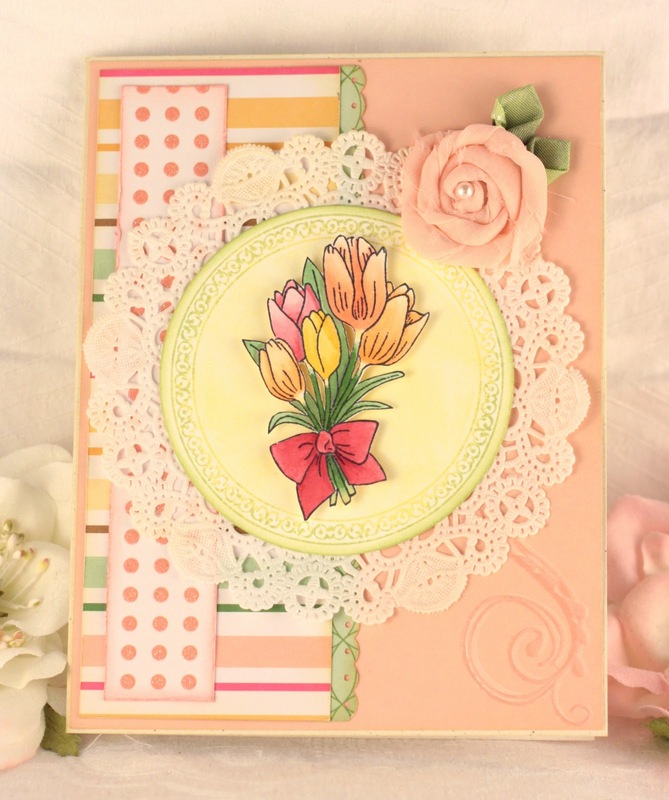 The lovely colors and the flowers give it a wonderful spring feeling. Beautiful sentiment and panel too. Congratulations Grace! Please feel free to pick up your Top Talent badge from our sidebar and watch for an email inviting you to guest design for us. And now for our Talented Trio award. This week it's going to more than three but we want to recognize all the beautiful work submitted for this challenge. We're highlighting all entries in the order they were submitted. Congratulations ladies! Please pick up your Talented Trio Award badge from our sidebar. Thanks to you all for being such loyal players with Our Creative Corner that even the toughest challenge we could cook up didn't chase you away! 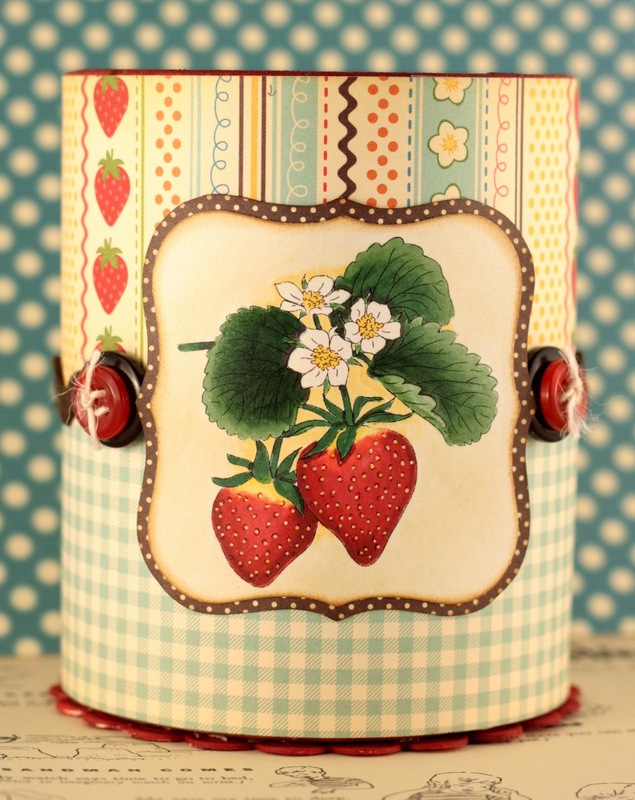 There's still time to play in this week's Fabulous Fabric challenge. Hope everyone will join in this fun challenge which is open through Friday, March 18th at 11:59 p.m. Eastern Time. Welcome ladies! Time for another challenge here at Our Creative Corner. 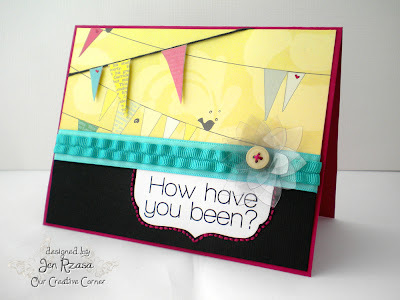 I'm Kristin from LilyBeth Boutique, your hostess again and you're really going to love this challenge! It's a little piece of me to share with you, 'cause not only am I a paper crafter, I am also a recycled baby clothes maker. I pick up fabrics everywhere I go, which inspired this challenge. I have just as many different fabrics as I have papers...I have a problem...and love incorporating them into my paper crafts. So, that's your challenge this week! 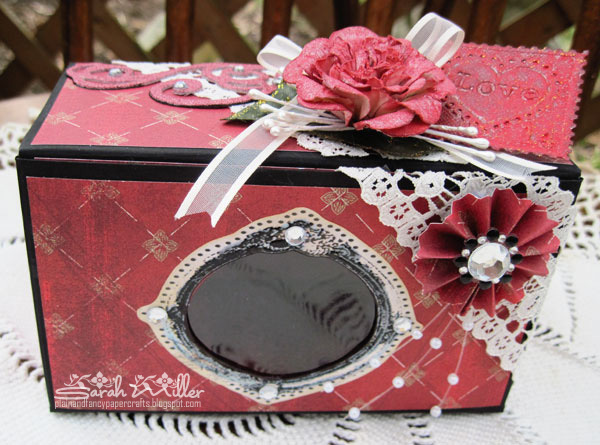 Incorporate fabric into your creation. Use fabric as a background, use it as an embellishment. Stamp it, fold it, cut it, weave it. Use canvas, cotton, satin, silk, burlap, polyester, tulle, whatever. The only restriction - ribbon doesn't count as your fabric...EEEKK!... 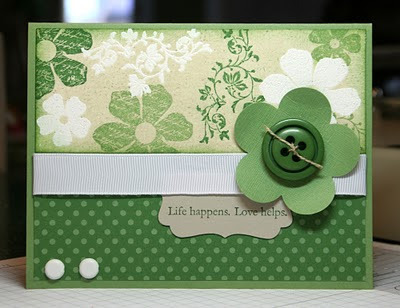 We know you are going to create some amazing things, until then, let our design team inspire you! WOW! Bonnie used quilting cotton to make this gorgeous handmade rolled flower. 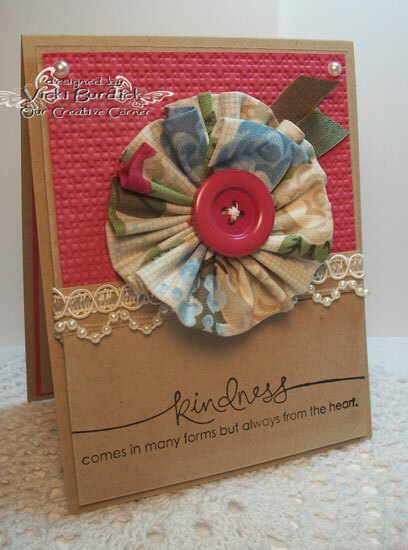 The twine bow and button really enhance it's charm! Fabric everywhere! Sweet fabric background, fabric doily, handmade chenille & tulle fabric flower. GORGEOUS canvas flower - canvas is all the rage! What a sweet pleated fabric flower, and the button is perfection! Hello fabulous! 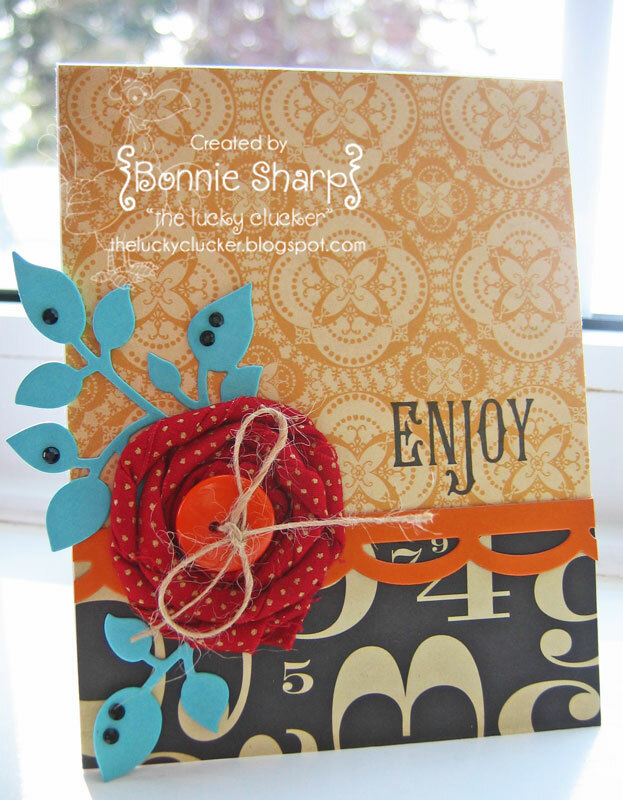 What a wonderful creation and the fabric owl is the perfect unexpected fabric touch, and with the stitched edges? Amazing! Oh how I LOVE fabric buttons! Look at how they match the background - fantastic! 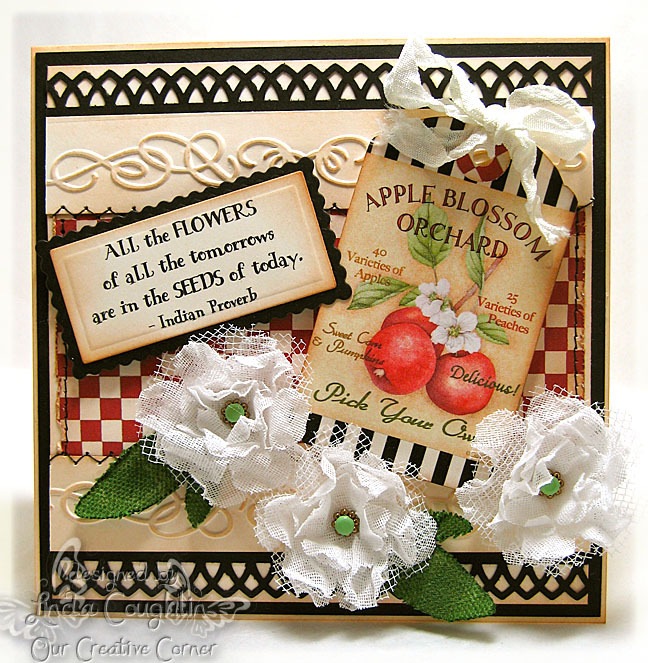 A little crinoline, a little tulle, a little canvas and presto, you have apple blossoms! DELICIOUS!!! Sharon used synthetic light grey material to create the large blossom. She then added a pre-made brown rolled fabric blossom to its side. 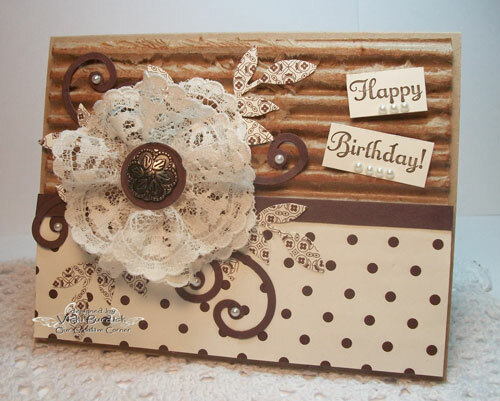 Sharon also created her own rolled ribbon flower and added some vanilla tule, at the top. All together, it's fantastic!! 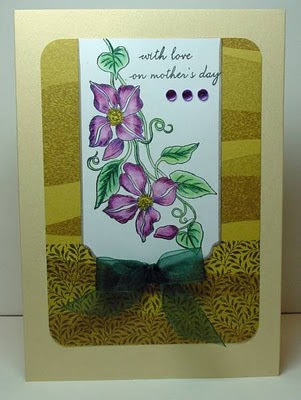 Oh how I love this card! Rebecca used sheer bridal organza wound over a red line tape circle to make this rolled flower and nestled a pearl in the center.